Missile Puppy – Page 13 – Supporting canine astro-exploration since 2009! Posted by April 22, 2010 Posted inChandler, JordanTags: film, logo, site, video1 Comment on Say Hello to the new MissilePuppy Production Logo! I saw a large rabbit in Tronne’s backyard. So I filmed him. Also it was recently Easter. This must then be the Easter Bunny. Posted by April 11, 2010 January 21, 2013 Posted inJordanTags: Easter, Easter Bunny, holidays, random2 Comments on Oh Yeah, Happy Belated Easter. 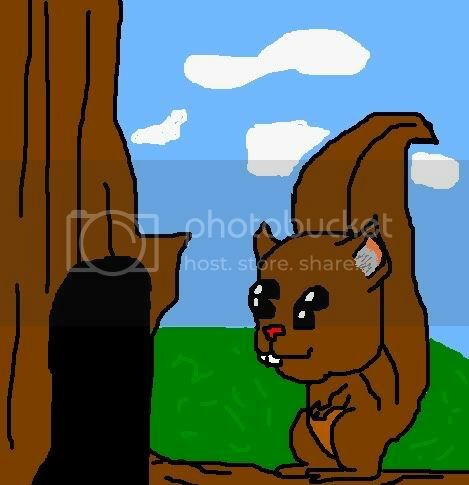 Is this Cartoon Squirrel Full of HAte? Squirrels: are they full of nasty thoughts and words for those in the world who are not white? Posted byChandler March 9, 2010 March 17, 2010 Posted inChandler, Opinion1 Comment on Squirrels: Are they actually neo-nazi white supremacists?